Background: To assess the efficacy and safety of fruquintinib, a vascular endothelial growth factor receptor (VEGFR) inhibitor, in metastatic colorectal cancer (mCRC) patients. 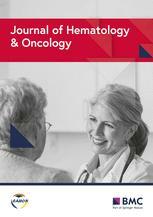 Methods: A phase Ib open-label study and phase II randomized, placebo-controlled trial compared the efficacy of fruquintinib plus best supportive care (BSC) with placebo plus BSC in mCRC patients with ≥2 lines of prior therapies. The primary endpoint was progression-free survival (PFS). Results: In the phase Ib study, 42 patients took fruquintinib 5 mg for 3 weeks on/1 week off. The median PFS was 5.80 months, and the median overall survival (OS) was 8.88 months. In the phase II study, 71 patients were randomized (47 to fruquintinib, 24 to placebo). PFS was significantly improved with fruquintinib plus BSC (4.73 months; 95% confidence interval [CI] 2.86–5.59) versus placebo plus BSC (0.99 months; 95% CI 0.95–1.58); (hazard ratio [HR] 0.30; 95% CI 0.15–0.59; P < 0.001). The median OS was 7.72 versus 5.52 months (HR 0.71; 95% CI 0.38–1.34). The most common grade 3–4 adverse events were hypertension and hand-foot skin reaction. Conclusions: Fruquintinib showed a significant PFS benefit of 3.7 months in patients with treatment-refractory mCRC. The safety profile was consistent with that of VEGFR tyrosine kinase inhibitors. A randomized phase III confirmatory study in mCRC is underway.